Summer is on its way and on all our minds! As you know, I'm super lucky to be spending time at our house in Spain at the mo. So on hubby's days off we're getting the chance to have days out at the beach club, hang out at the pool and enjoy the intense Spanish heat. But also, its that time of year I'm sure, that a lot of us are planning or have already planned their summer getaway. We all look forward to it don't we? Our holiday. Whether it's at home or away, its our time to completely escape and chill. Spending days relaxing, reading, listening to our favourite songs on repeat, sipping our favourite summer tipple and soaking up that all important vitamin D.
It's something we all look forward too, no matter where we are from, what we do for a living, the love for our summer getaway, is what we ALL have in common. The lovely people over at HomeAway have been in touch and asked me what my essentials for a day at the beach are. 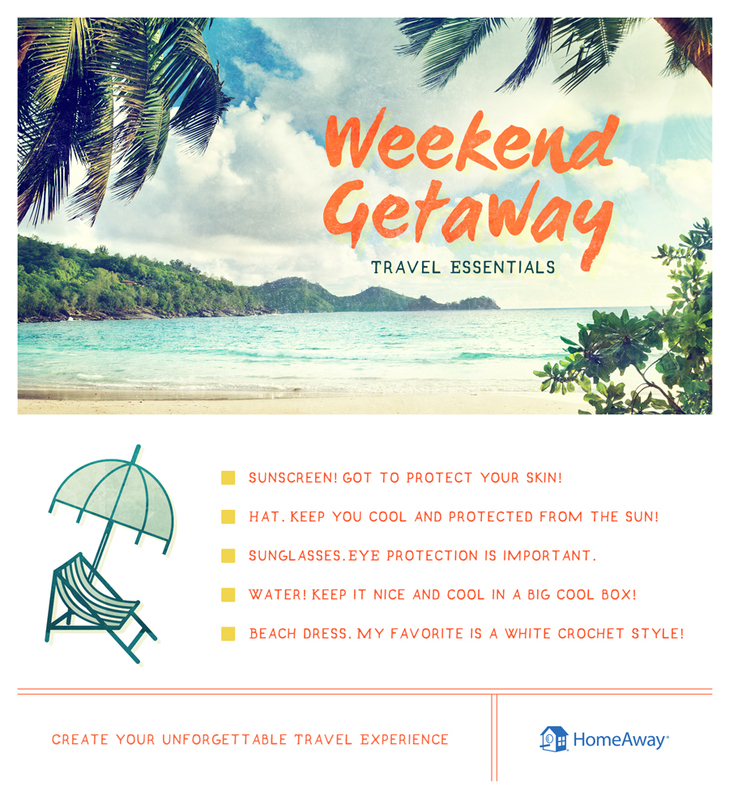 But here are my top 5 beach day essentials and HomeAway made this cute graphic so I can share them with you! 1. Has to be Sunscreen. It's so important to protect ourselves from the sun. We need to look after our skin and make sure it stays nice and healthy. We all know about the dangers of the sun, so it really is a no brainer that sunscreen is at the top of the list. Apart from protecting us from scary UV Ray's, it also helps maintain a longer tan. It really does. Without the sunscreen you'll burn, go all patchy and blotchy, which results in your skin peeling. Not a good look! So make sure you slap on the SPF! 2. Hat. This is definitely another essential for a day at the beach. A good hat, be it a cap, a visor or a floppy beach hat, get one on. It's the perfect item to keep the sun off your face and protected. Check out my faves here, here and here. 3. Sunglasses. You can see a theme here. A good pair of sunnies to protect your eyes and stop you squinting! Also, they add to the super coolness in those beach selfies! 4. Water. You know I'm a fan! Drink loads of water. Take a cool box with you and load yourself up! You need to keep yourself hydrated, especially while you're out in the sun. Tip - pop some bottles in the freezer the night before, it will slowly defrost throughout your day and keep it nice and cool. 5. Beach Dress. I love my white crochet number at the mo. It really is the perfect item to pop on if you start to feel a little frazzled, but also great to throw on over your bikini when you want to visit the beach cafe/bar afterwards! Check out these cute ones here and here. I'm sure we'll be heading back down to the beach on Marks next set of days off and all this and more will definitely be on our list to take to the beach. 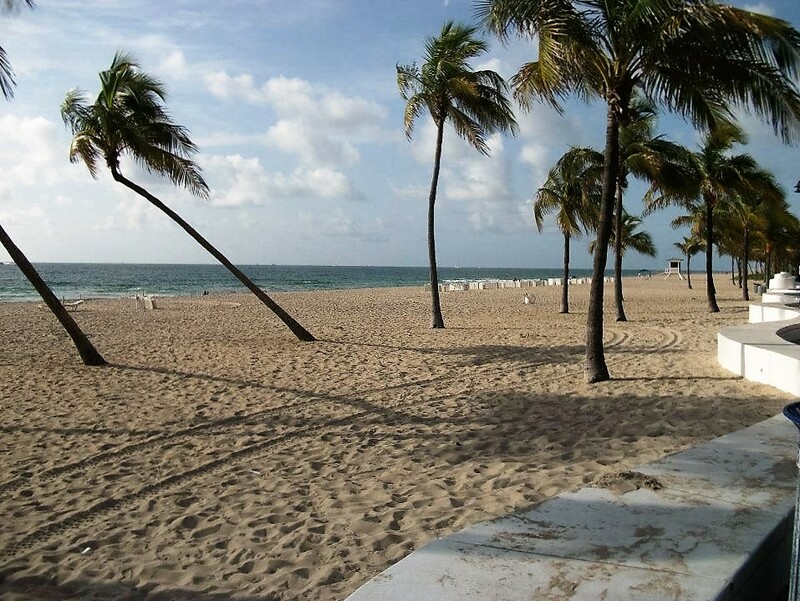 We're hoping to visit Fort Lauderdale next year, we haven't been for a few years now and is one of our favorite holiday destinations. Fingers crossed we'll get out there as we miss the gorgeous Florida sands and the lazy chilled Florida days. My beach essentials will definitely be coming with us to Florida! I'm visualizing it now and can't wait to feel the soft Florida sand in between my toes again! Heaven. 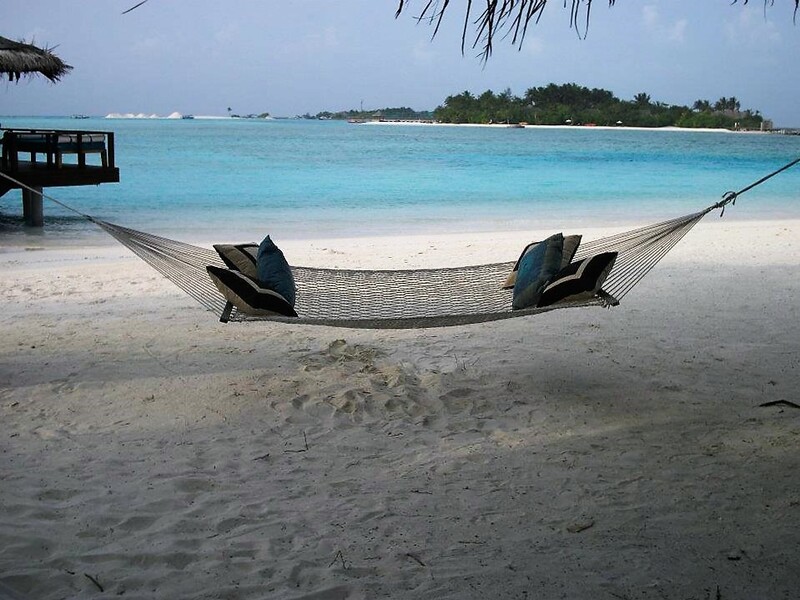 Check out HomeAway here for best vacation ideas and here for best beach vacations! What are your 'beach day' essentials? Are they similar to mine? Pop me a comment below! Great travel tips, I agree on the importance of SPF. I love using my SunBum SPF moisturiser it has 0 oil in it so doesnt feel all sticky!